Subscription eCommerce is the hottest new trend in online shopping. People are absolutely obsessed with subscription mystery boxes, but this isn’t a new fad. You can look back decades and find popular ‘of-the-month’ clubs – cigars, peanuts, wines, you name it. But with this sector of eCommerce BOOMING, there are companies opening up all over the place offering different types of subscription box options, and the seemingly strangest boxes are doing really well! This teaches us a couple of things – (1) subscription eCommerce is popular, and there are lots of potential customers for any niche, and (2) this business model really works and has great benefits. I wanted just how successful some strange niche subscription boxes can be, to help you get your idea muscles pumped and hopefully urge you to take the leap and start your own subscription eCommerce business. This company is a prime example that we will never run out of ideas for these types of businesses. The eCig industry just recently started taking off, so a whole new market for subscription eCommerce was create. These guys ship you new flavors of vapor each month for your eCigs. Blind Surprise took the approach of ‘we will open a subscription box for everybody’ – rather than targeting a specific niche, you fill out your interests, and receive an appropriate gift from a unique product line or designer each month. Point being, you can start a business without any specific niche in mind. For those of us that are obsessed with travel, and experiencing new desitination, but maybe just don’t have the time or money to hop on a plane and venture around the world, this box is perfect. The ideas is to provide a cultural experience by sending a box full of local products from various worldwide destinations. They provide the whole experience – maps, lotions, local treats to make sure you feel like you received a souvenir box straight from the month’s featured destination. We all know how expensive vitamins and nutritional supplements can be, so Bulu box is working to ensure that we can sample these types of products prior to spending the big bucks. For only ten dollars a month, Bulu Box lets you sample 4 to 5 nutritional products. By filling out surveys on the products you sample, you can also earn credit towards future purchases. There are a few companies with this model, but as a young adult that really hates cooking, I appreciate these types of businesses. They have a big warehouse of healthy ingredients, and you let them know what kind of food you are into. Then they send you ingredients and recipes weekly for healthy meals that you can prepare in under 30 minutes. Here is a great example of a unique box that is doing extremely well. They ship you a box each month stuffed with baits trusted by the pros. The idea is to expose fishers to baits for both beginner and experts, and also provide information in each box that explains about the bait received, and provides a link to a website with reviews, videos, and rigging options for your new products. I know there are a lot of boxes based around cosmetics, but the reason I wanted to include this box is to make the point that just because there is another big player in a specific niche doesn’t mean that it is not worth entering. In this example, Julep has been extremely successful, and they sell new nail colors and beauty products. Of course, there are other big boys in this space, but this company has carved out a nice customer base as well, focusing more specifically on ‘limited-edition’ nail colors and cosmetics. This is a subscription that is supposed to help men with all their essentials. Underwear, socks, razors, and condoms, all in one box. Other than going to get turkey and eggs, there’s no reason for men ever to have to run errands again. What a fantastic idea! My point for writing this post is simply to get your mind churning. 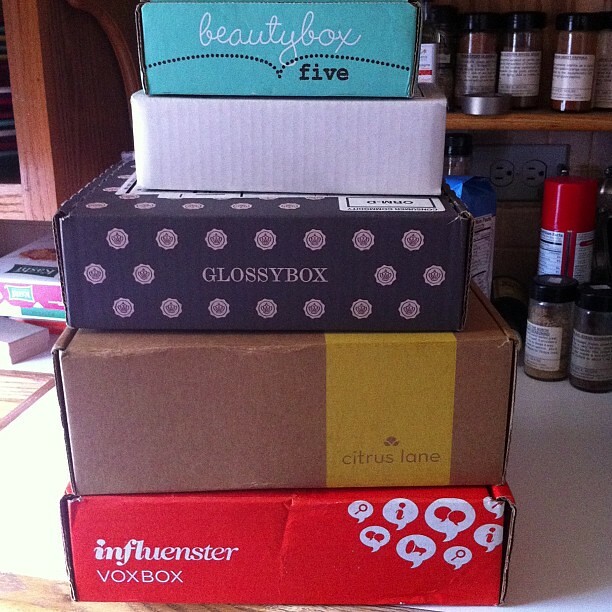 You don’t need to come up with the next Birchbox to start a successful subscription business. You can simply take an idea that somebody else already has, and just copy them and eat away at part of the market share, and still do extremely well. As I mentioned subscription eCommerce is booming, and people are obsessed with these mystery boxes. It’s just one of many ways to make money online, but the benefits of this business model are certainly worth taking into consideration. If you’re interested in how to start a subscription box business, check out my full resource guide.